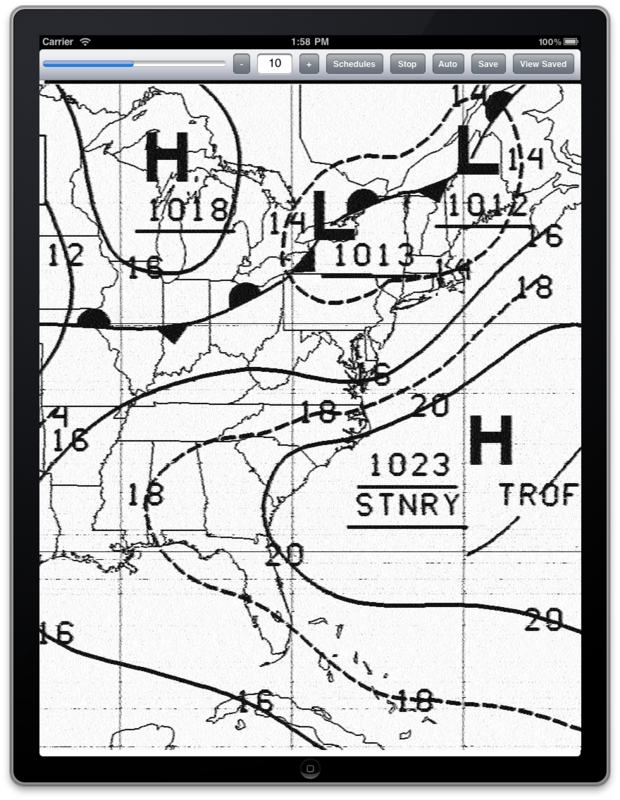 HF Weather Fax lets you receive marine weather radiofascimile transmissions on your iPad, iPhone or iPod Touch, using the audio from your HF marine radio. Just set it next to the radio's speaker or headphones, tune in a weather fax frequency, and watch the images come in. 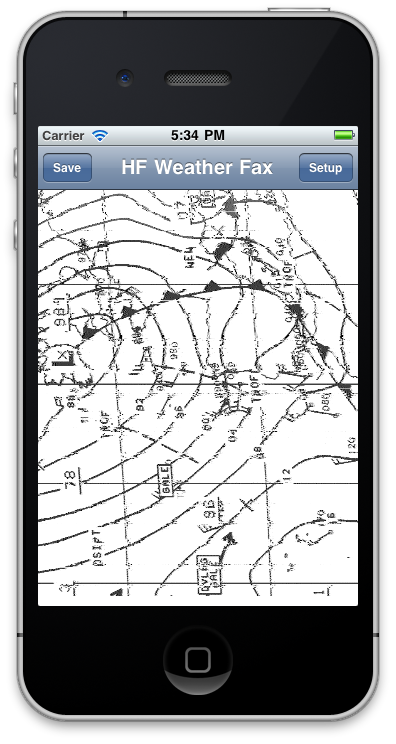 Visit the HF Weather Fax FAQ page for full details on how to use the app.